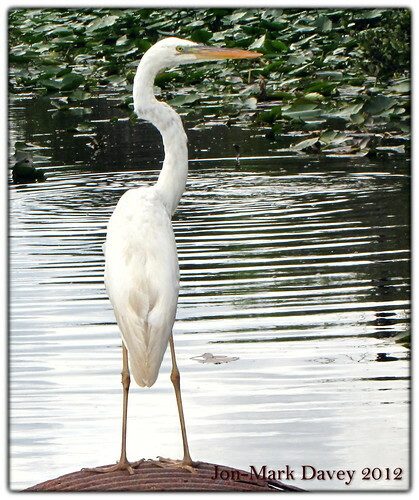 Great White Heron, originally uploaded by QuakerVille. What is unique about this picture? 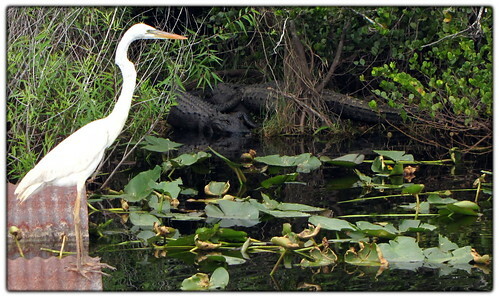 No, it’s not the two rather large alligators watching this bird as he fishes. 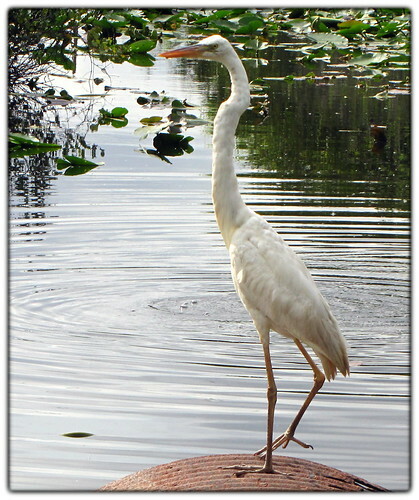 He’s a Great White Heron, or “white morph” as some call it. When we first came up on him fishing today we just thought it was another American Egret, we saw quite a few today in the Everglades, but with a little closer inspection he looked sort of dirty, skinny and, “where are his beautiful mating feathers”? Like a ton of bricks falling on my head I realized that we were observing a Great White Heron, often called the Great Blue Heron White Morph. WoW! How cool! The two lazy alligators in the view just laid there for hours watching the birds and people from their slippery sloped water way. Other smaller ‘gators in the small water hole in the picture were busy feeding, one alligator was even jumping clear out of the water to impress someone. I had never seen that type of behavior in an alligator before. I tried for a couple hours to record the gator coming clear out of the water, an impressive sight to be sure, but I just could not tell when he was going to leap. The stupid alligator must have thought he was part flying fish that also lived in the adjacent Eco-system and would also occasionally jump clear out of the water. 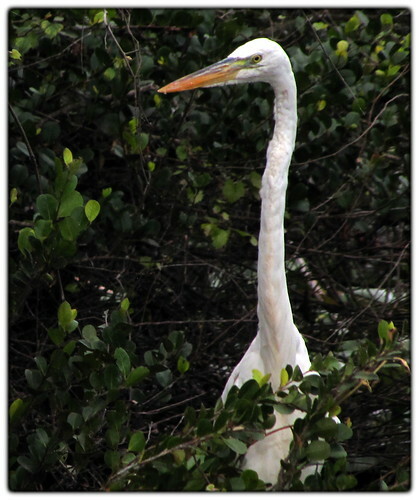 I’ll post a sequence of shots from this afternoon’s encounter with the Great White Heron of South Florida.